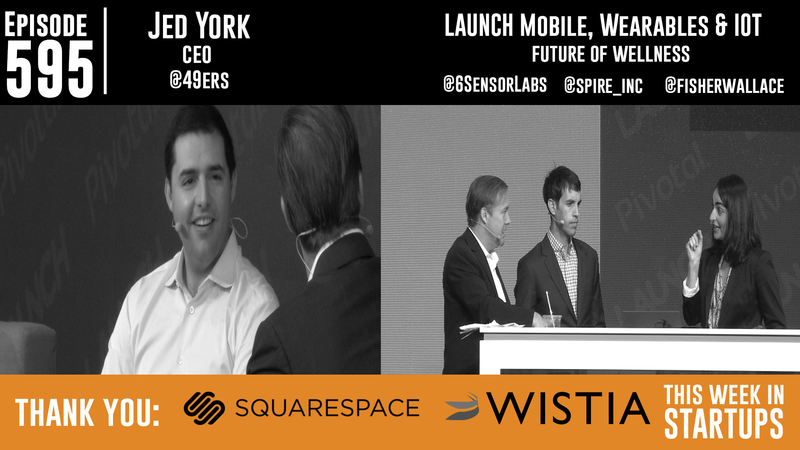 From LAUNCH Mobile Wearables & IoT: Jason and Sundeep Madra (VP Strategy and Corporate Development at Pivotal) talk to Jed York, CEO of the San Francisco 49ers, who built the most connected stadium in the world. Jed, Jason, and Sunny discuss the stadium’s high-end Wi-Fi infrastructure, interactive mobile app, augmented reality museum, and the future of sports. Next, Jason and Peter Rojas (co-founder Engadget and Gizmodo) explore the Future of Wellness with 6SensorLabs, Spire, and Fisher Wallace Laboratories. 6SensorLabs’ mobile device Nima tests foods for gluten; Spire helps users remain calm by tracking breathing; Fisher Wallace Laboratories is the first to have a device that’s FDA approved to treat depression, anxiety, and insomnia. LAUNCH Mobile, Wearables & Iot was presented by our friends at Pivotal.